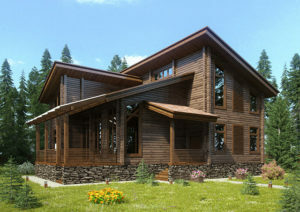 Everything that can be built with logs - we can do. But it is you, who tells us how much your house will cost, because you choose the materials and finishing quality for your house and this makes up final price. 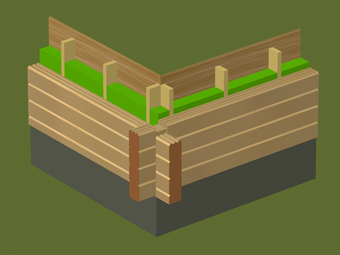 One example: The thicker the log wall is the more wood it takes to build and obviously more wood costs more. 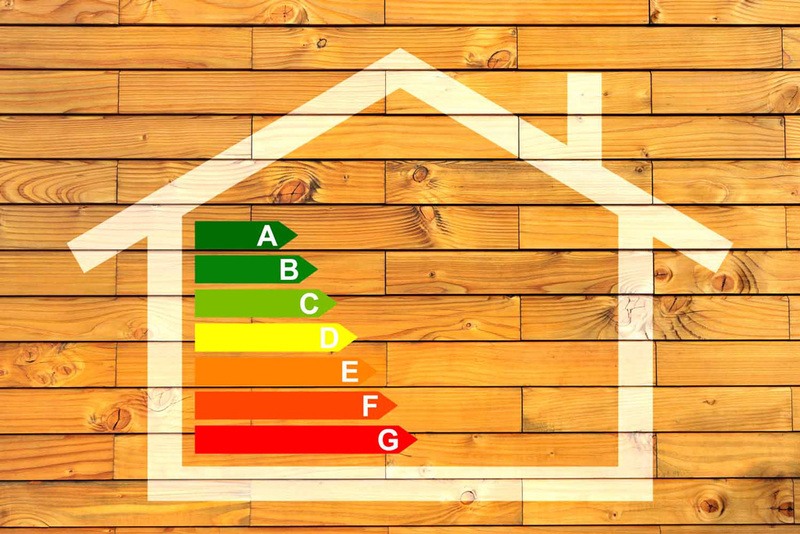 However a thin wall has very poor insulation capability and is very expensive to live in it as both, heating and air conditioning alike consume a lot of electricity every day. The same story is with doors and windows, parquet floors, bathroom tiles etc . 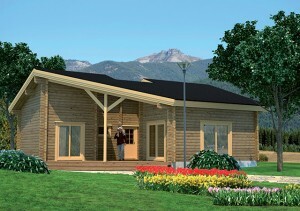 Our factory produces and builds houses for many countries with long tradition for log homes. 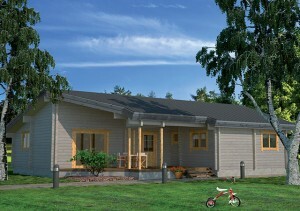 We produce finnish style houses for Finland, norwegian style houses for Norway in handcrafted logs and with norwegian saddle notch corner joints. 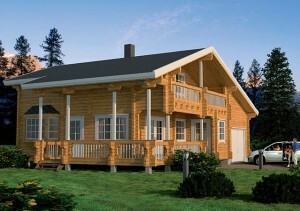 Traditional european log homes we can build exactly as you like. 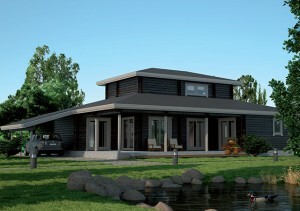 Your project will be taken good care of by our team in factory and in construction site. 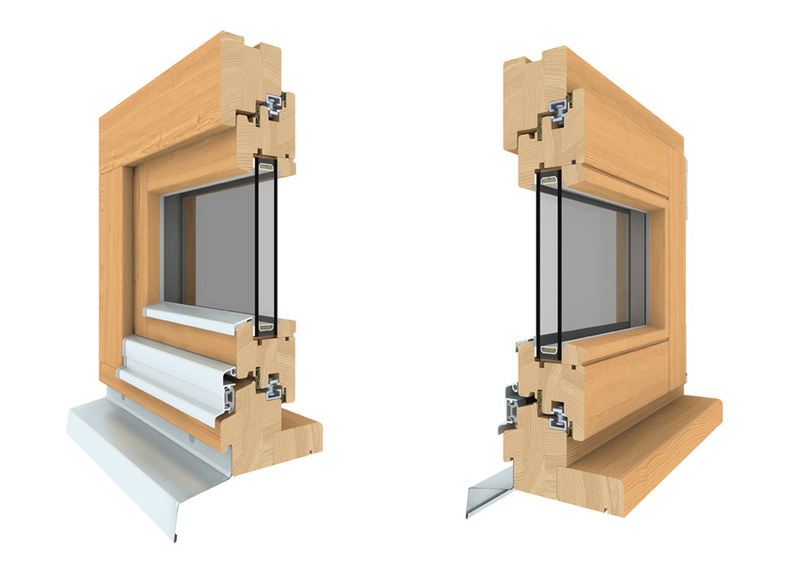 We are known for clean and energy efficient dovetail corner joints - in Germany it's called ''Das Tiroler Schloß'' , in Sweden they call it ''laxknut'' and in Swizerland it's called 'Schwalbenschwanz-Verbindung'. We love it and it does not cost more than widespread cross-corner. 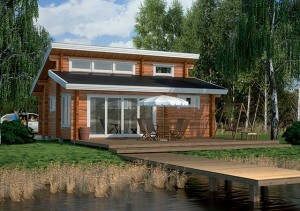 It is also suitable for city areas where it is not allowed to build log homes with cross corners. Well, at least something that does not cost extra for you! 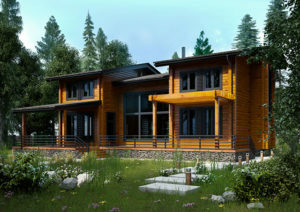 We can provide ultra modern solutions for energy efficient modern log homes and traditional houses alike. It is all about choice of materials and design. 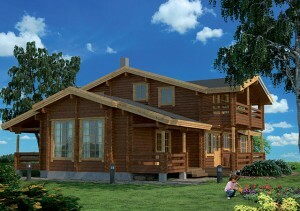 Square logs are suitable for all kinds of log houses. 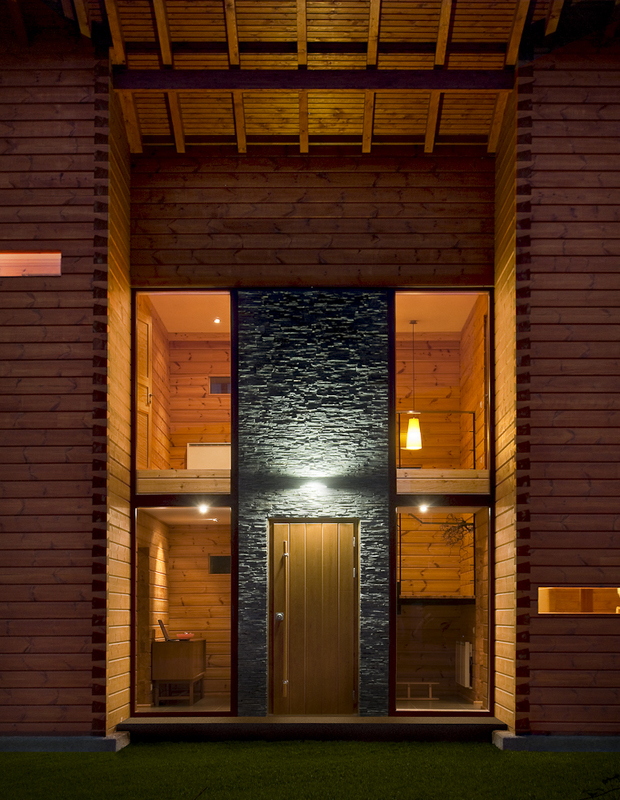 In a log house that is designed for a permanent home the log wall must be at least 200 mm in thick, then no extra insulation is needed but compliance with energy regulations must be taken into account in the design. 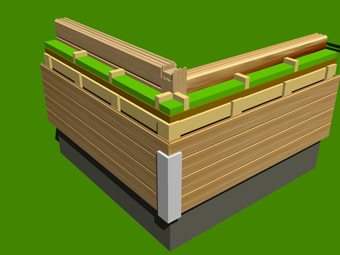 We use square logs of massive wood and square logs made of laminated wood. 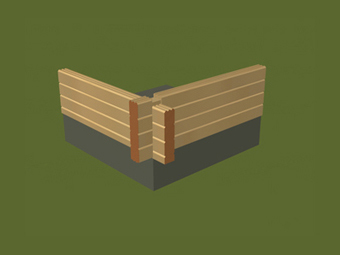 Laminated logs are a lot more stable wall material but also more costly. Laminated logs will not shrink, twist, warp, or crack as much as a conventional profiled logs. 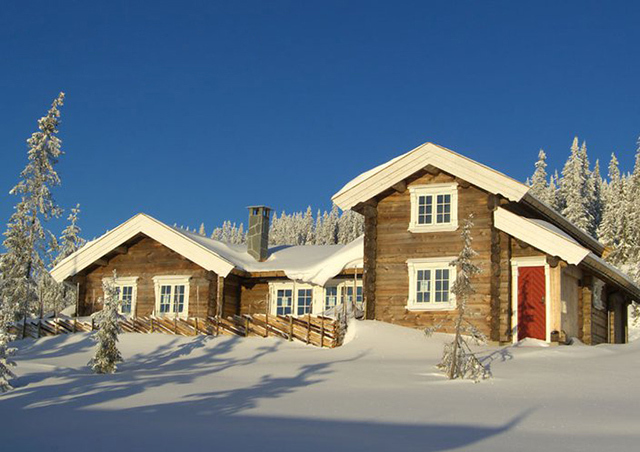 External insulation is best suited to houses which are heated year round, such as single-family detached houses in nordic climate. 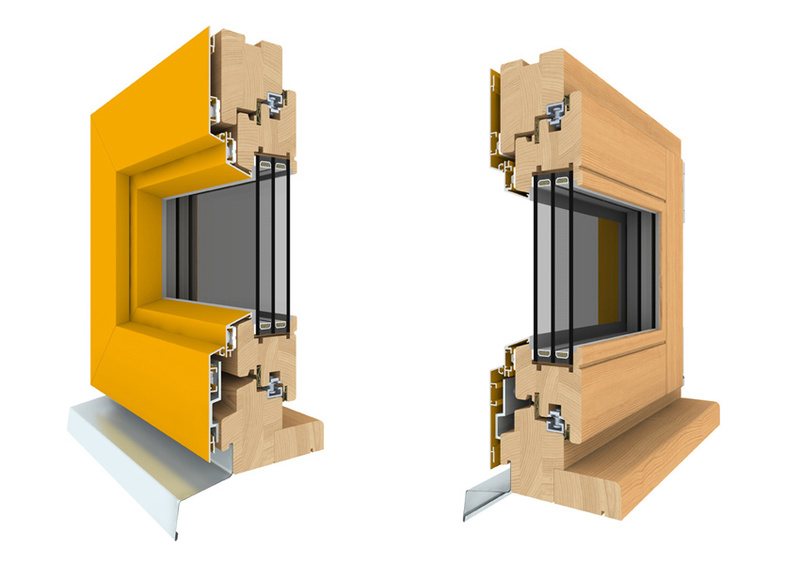 The thickness of the thermal insulation is chosen according to the desired heat insulation level and climate zone, zero-energy level insulation is also possible. 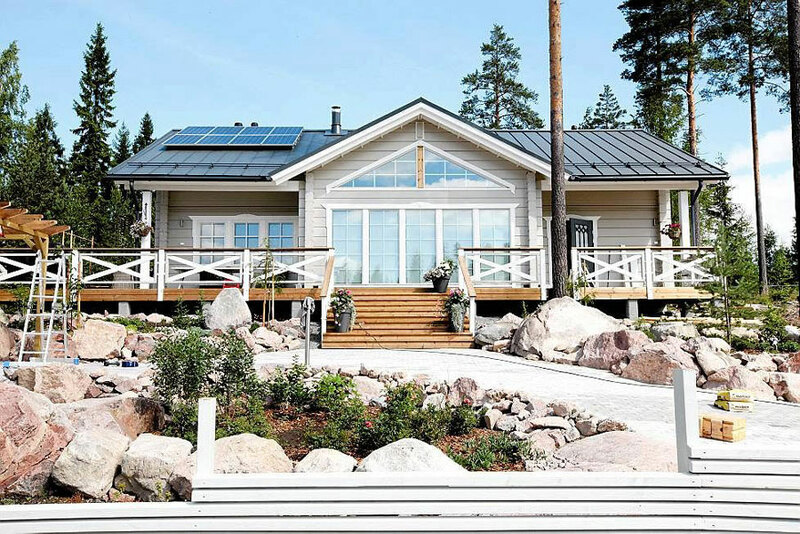 Internal insulation is best suited for holiday homes that are heated only occasionally during cold winter and for regions where winter is not extremely cold and heating period is short. 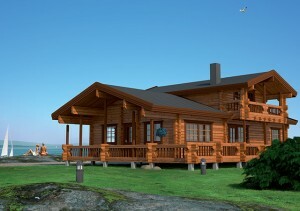 Internal insulation will preserve unmistaken beauty of a log home. Internal insulation is the right choice for hot climate like in Mediterranean, where humidity and dry air change often and difference between daily low and high temperatures is big. Internal insulation can be finished with wood, so it looks alike from outside or with stone or tiles or whatever ecological materials you like. The thermal insulator thickness required depends on regional requirements but in general less than 200 mm is very irresponsible, no matter if it is a weekend house or a family home. 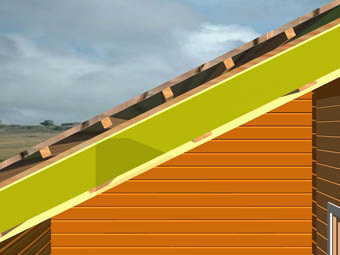 Thermal insulation can be fitted below or above load-bearing roofing construction. The structure and airtight seals of the roof must always be checked on a case-by-case basis to ensure faultless function and good thermal insulation capabilities. Nb! 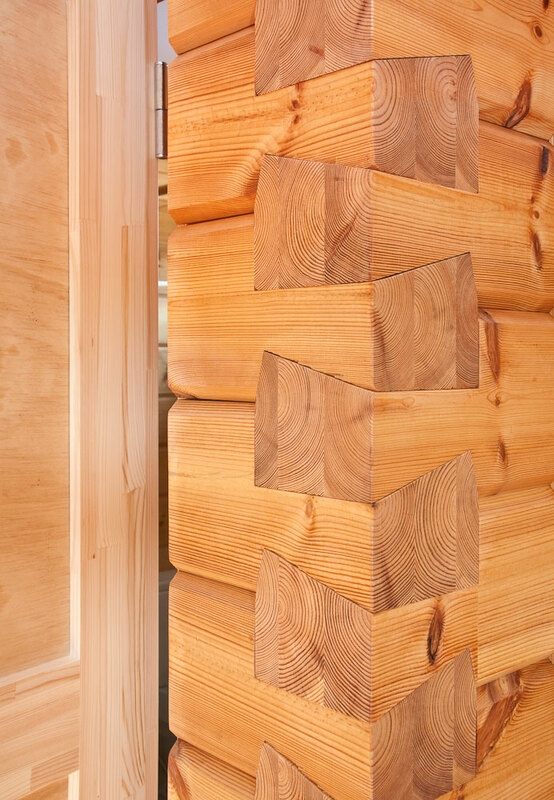 Solid wood logs thicker than 92 mm we do not recommend unless in traditional norwegian log homes, where cracks in the wood and rough looks are intensional. 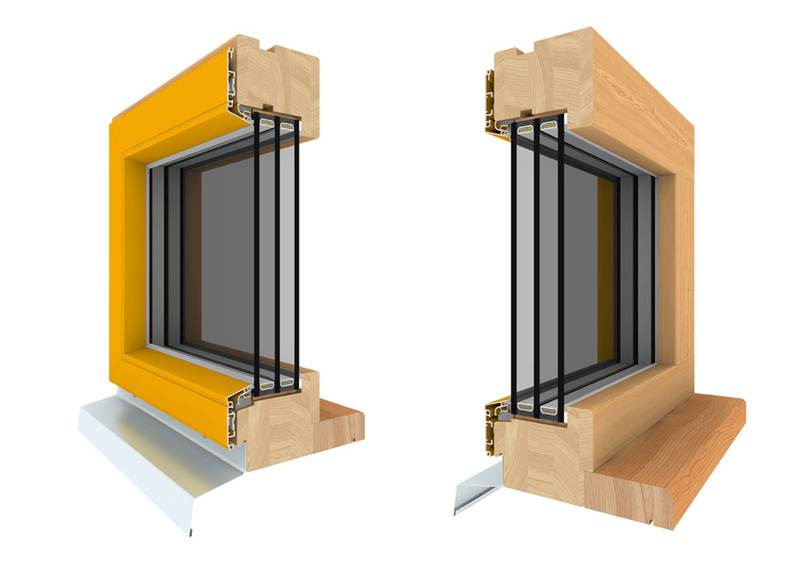 200 mm thick walls made of laminated nordic pinewood are good for most countries in central and western Europe also for Mediterranean heat, and they will last many lifetimes. 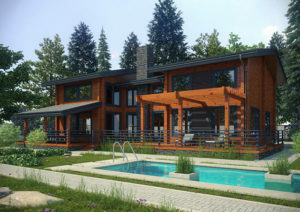 However, wood as any commodity is sold by cubic meter and sometimes it is better to compromise with thinner walls and extra insulation if your project is price sensitive. Walls thinner than 113 mm are not suitable for a weekend house. 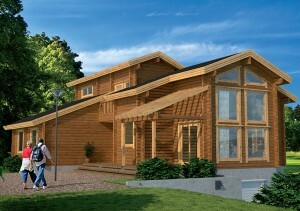 Log homes can be insulated to the same level as zero energy houses. 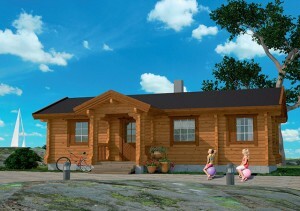 In the same time a log home will provide all natural living environment and thick logs will keep all pollution of modern life distant. 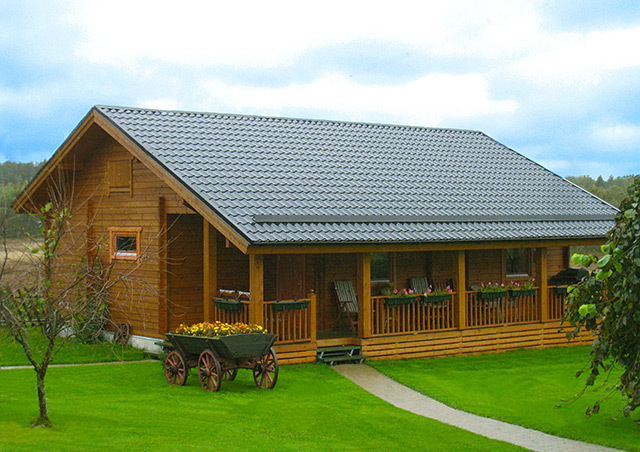 We offer wide choice of thermal insulation solutions, doors and windows both suitable for an ecological log home and energy efficient in the same time. Exterior doors can be custom made in our factory according to your architect's or designer's imagination or we can find some cheaper alternative for you.